Whether you are thinking about bikini season or you want to keep your New Year’s resolution, there is no denying that having a home gym rocks. While it is true that regular gymnasiums can offer things that you can’t find at home, like a personal trainer or a juice bar, but it is also true that you can literally save thousands of dollars by not paying for a membership, annual fees, gas, and wear and tear on your car. Let’s also not forget the joys of waiting for a machine, or being limited to 30 minutes on the treadmill during peak hours. Ugh! You can make your own home gym by adding just a few simple items. We have tried to create a list that runs the gamut, here. We have included everything from a treadmill ($$$) to a jump rope ($). One of the best ways to get your home gym up and running is to invest with a friend. If each of you buys some equipment, you can double the items in your gym without spending extra bucks. Let’s take a look at the best must have items for a home gym. No workout routine would be complete without dumbbells, but who wants to store (and buy) all those different weights? 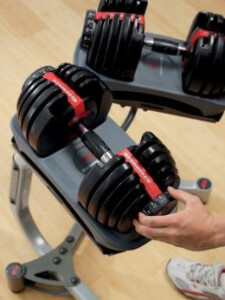 Bowflex has the answer with this compact set of dumbbells that go from 5 pounds up to 52.5 pounds! Super space saving design means no weights lying all over the floor. This old fashioned method of staying in shape has made a comeback in a big way! SPRI puts a new twist on them by adding dual handles, so one can easily access the ball from either side or from any position. Dual handles are much safer as well. You can get a complete strength training workout just by adding a medicine ball to your sit ups, squats, and lunges. OK, so this isn’t so much about getting fit as being comfortable, but foam rollers are still invaluable for a home gym. 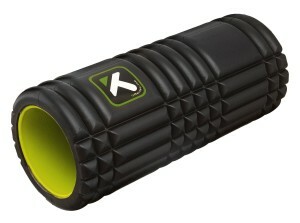 To relieve the pain of sore, tight muscles, or to fight back against that Charlie horse, foam rollers can’t be beat. This one also comes with an instructional DVD, so you can use it properly. There is no doubt that pull ups are hard, however, there is also no doubt that this is one of the best ways to improve upper body strength. 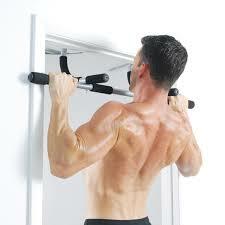 By putting one of these in your doorway, you can try to do a pull up every time you walk by. Before you know it, you will find pull ups easier and easier! 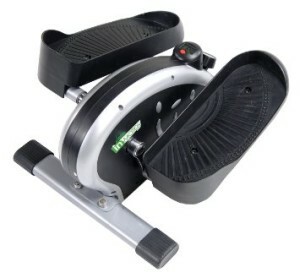 This is an inexpensive piece of equipment that can really help improve physical fitness! Oh those abs! Everyone wants those nice, tight, flat ones, but they can be soooo difficult to get. 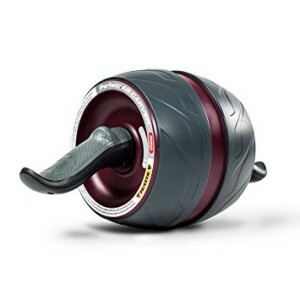 Modern ab wheels, such as this one by Perfect Fitness, have a kinetic engine and an ultra wide wheel base to make using one easier and more effective. The great thing about ab wheels is that you can use one almost anywhere! Try using your ab wheel during commercials. 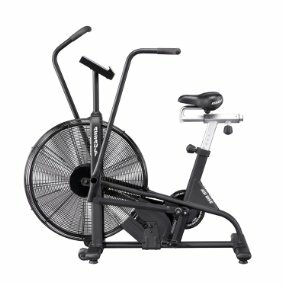 For those of you who don’t have the space or money for the full size elliptical machines, this is the perfect alternative! Reasonably priced, it has almost everything you could want, other than the push/pull motion of the upper body. However, without the rod or bands for balance, you maintain your core by keeping your own balance naturally. 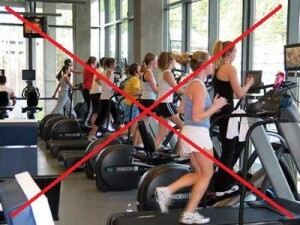 While everyone would like a top of the line treadmill, the truth is that you don’t need to pay a lot to get a lot. 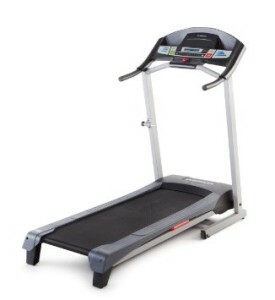 This minimalist treadmill is fairly narrow, but has everything you need to get in a cardio workout. 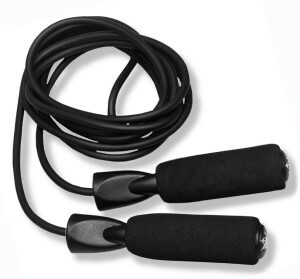 Chances are that you haven’t picked up a jump rope in years, but if you want a quick and easy way to really get your heart rate up, this is the way to do it. Did you know that just 10 minutes of jumping rope is the same as 30 minutes of running? If you want to get a good cardio workout in a short period of time, this is the answer for you! OK, this one is a bit pricey, but well worth the money. This bike works on air resistance, so the harder you pedal, the harder it is to pedal! Unlike many other stationary bicycles, this one has an upper body workout as well. Of course, no gym would be complete without an exercise mat. 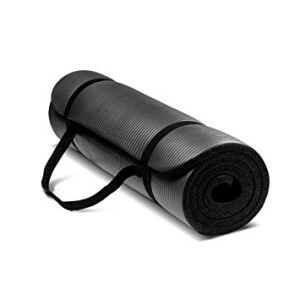 This mat is extra thick to help cushion knees and elbows, while allowing plenty of generous space to do yoga or other exercises. It’s always tough to get started, but once you decide to get in shape and give your body the gift of exercise, you will never regret it.